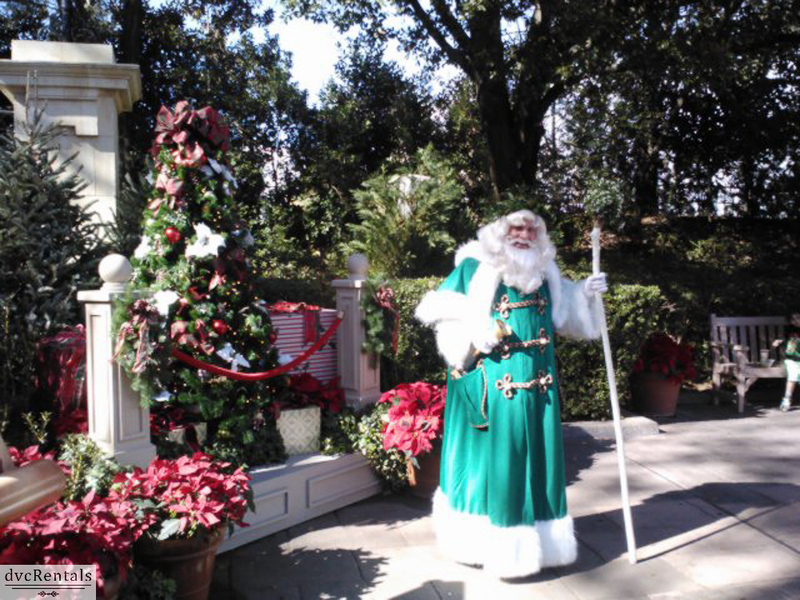 If I was to take a poll, I would bet most of the people reading this blog are aware of (and many of you have even attended), the Candlelight Processional at Epcot, as well as Mickey’s Very Merry Christmas Party in the Magic Kingdom. 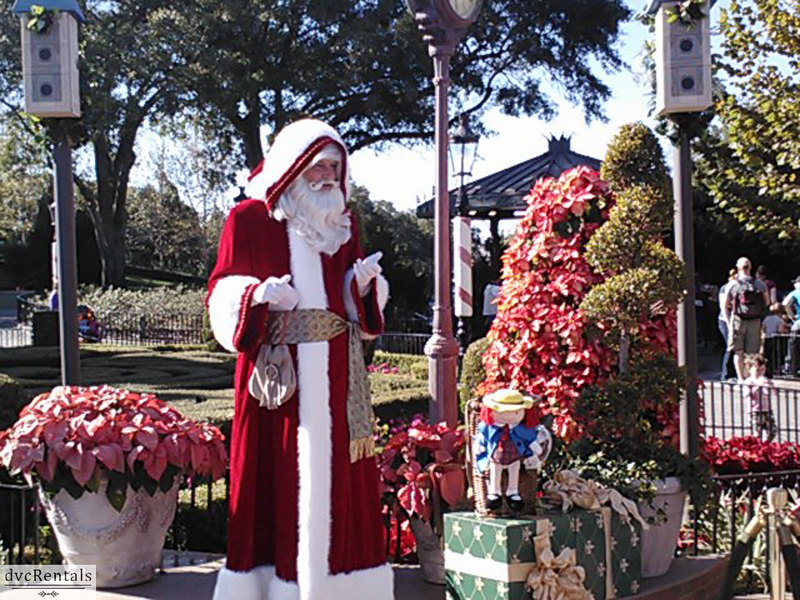 But I would also bet a number of readers don’t know about, or have opted not to check out Holidays Around the World at Epcot featuring Storytellers that appear around World Showcase in Epcot during the Winter Holiday Season. I don’t say “Christmas” because although a number of Storytellers do indeed share Christmas traditions from their countries, other holidays are represented as well. The Storytellers present the culture and traditions of the country they represent by bringing you into the story. Through songs, dancing, drama and comedy, you’ll feel these traditions come to life. The Storytellers have been part of Epcot since 1996 and the presentations are included in your admission to Epcot. Storytellers love to include audience members, in particular children. If you get there a few minutes ahead of time and stake out a spot, there is a good chance you’ll be included in the show. There is usually a platform and podium set up in the area where the Storyteller will appear, but if you can’t find the right area or you’re unsure, ask a cast member for help. You don’t need to book anything in advance, just check the Epcot times guide and go! 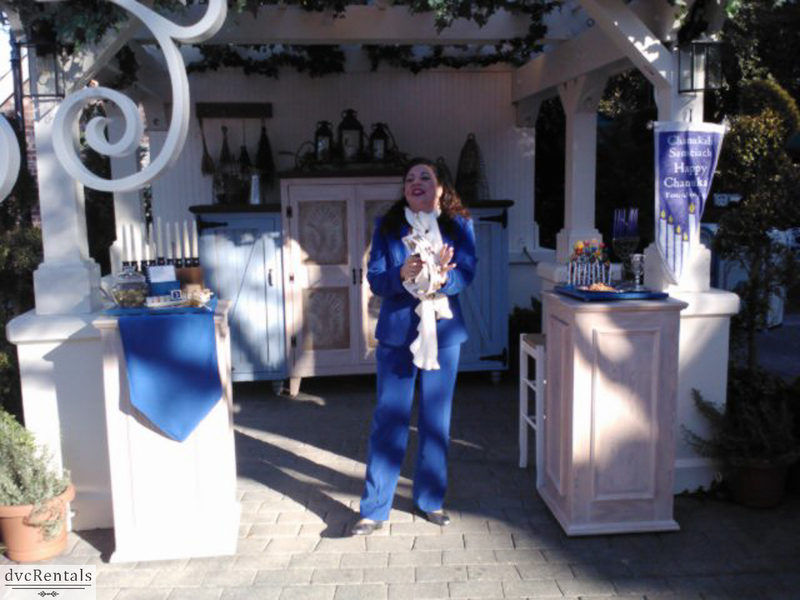 Storytellers begin at the end of November and run until the end of December. The shows run many times daily starting at 11:00 am with the last show ending around 8:00 pm. However, some countries have their last show as early as 5:00 pm, so plan accordingly. It is a fascinating experience, where you learn and have fun at the same time. 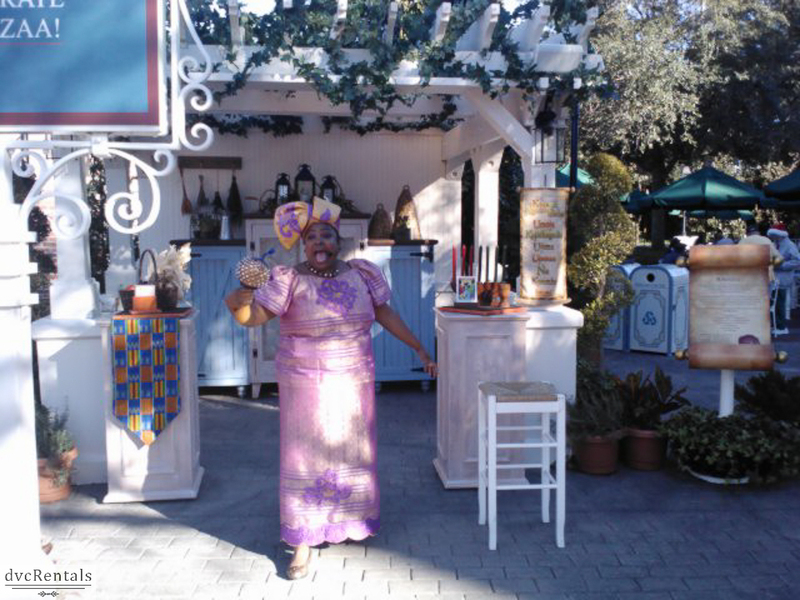 Each country in World Showcase has its own Storyteller(s), and they do their best to entertain the whole family. The one exception is Canada, which has no Storyteller. Instead you will find a musical act, called the Canadian Holiday Voyageurs. Although the Storytellers began, as noted above, in 1996, the stories told have varied at times. This blog is going to tell you about what you would have seen last year, 2014, along with some pictures from that time. It won’t be long before they appear this year. I hope this blog encourages you to check them out. United Kingdom: Father Christmas shares Christmas traditions. 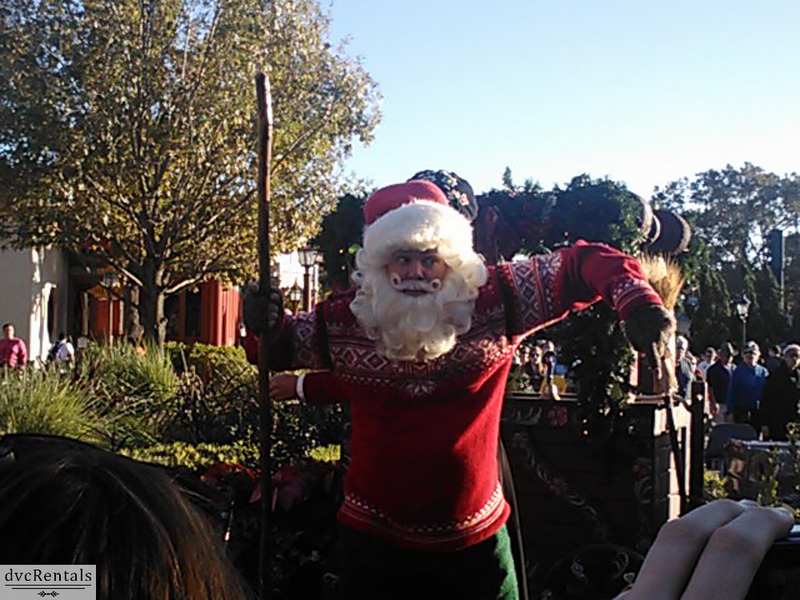 Looking similar to the “Santa Claus” from the USA, he rings in the season, with traditions of the United Kingdom and good cheer. Jolly, friendly and welcoming, with a VERY hearty laugh. Father Christmas shares a few of the traditions that started in the UK, such as the sending of Christmas Cards, and the hanging of mistletoe. France: Père Noël reads a very special letter he received, which recreates the magic of Christmas through the eyes of a child. He also talks about other special holiday traditions such as the Nativity Scene and children putting shoes around the Christmas tree in anticipation of a visit from Père Noël. Morocco: A Female Storyteller shares Moroccan festival and holiday traditions. Japan: Hear the compelling story of the Daruma doll and other Japanese customs of the New Year. America: There is a quadruple treat here! 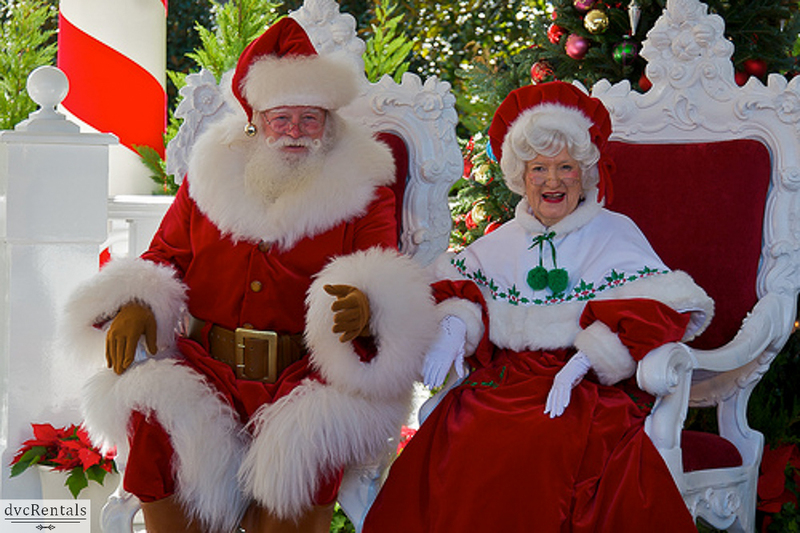 Visit with Mr. and Mrs. Claus and tell Santa what you’d like for Christmas. Learn the traditions of Hanukkah, the story of the Maccabees and the miracle of the special oil that burned for 8 full days instead of one. Get into the spirit of Kwanzaa, a celebration of unity, creativity and pride. 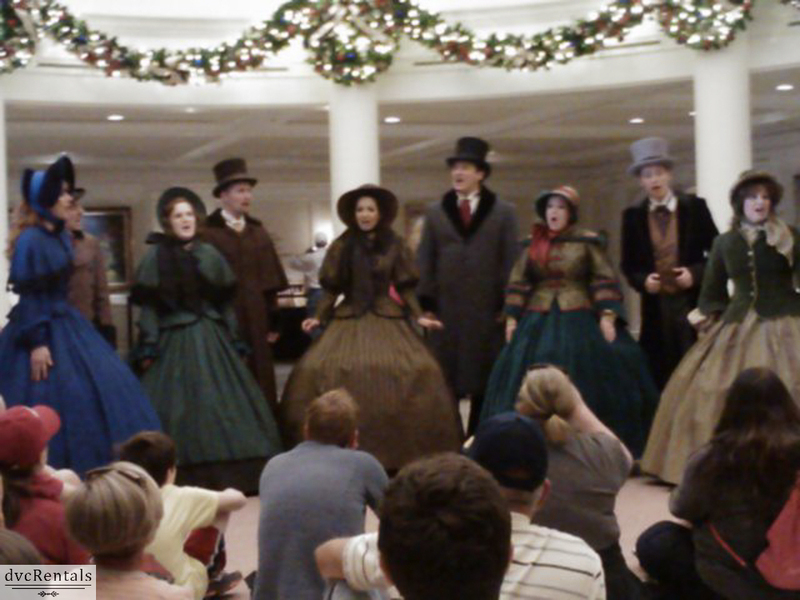 Lastly in America, the Voices of Liberty dress in Dickensian costumes and sing holiday songs. These four events sometimes overlap, so be sure to check the times guide to plan accordingly. 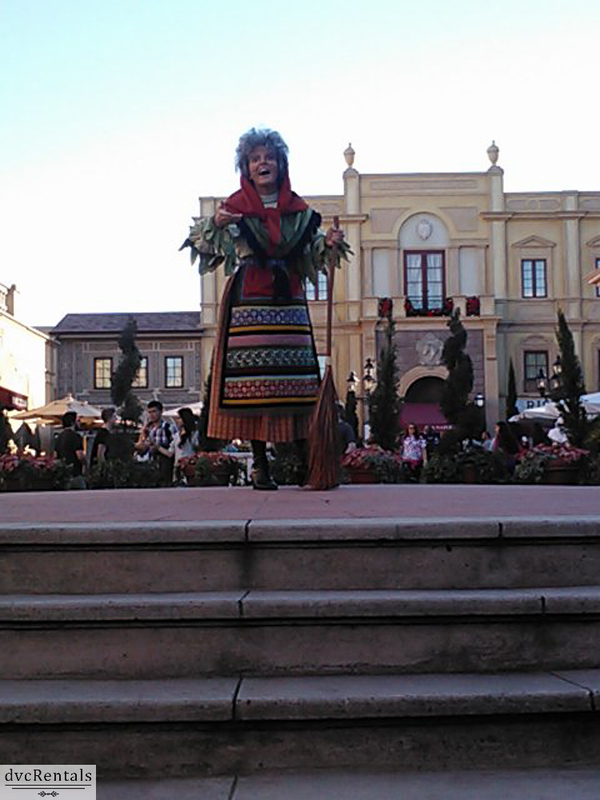 Italy: La Befana remembers her first Christmas 2000 years ago, when she was invited to come visit the Christ Child. She turned down the invitation, had a change of heart but it was too late. Today she is still searching for the baby. This kind-hearted witch tells why she grants gifts to good children. Germany: Helga tells the story of the first Christmas tree and the tale of the nutcracker. 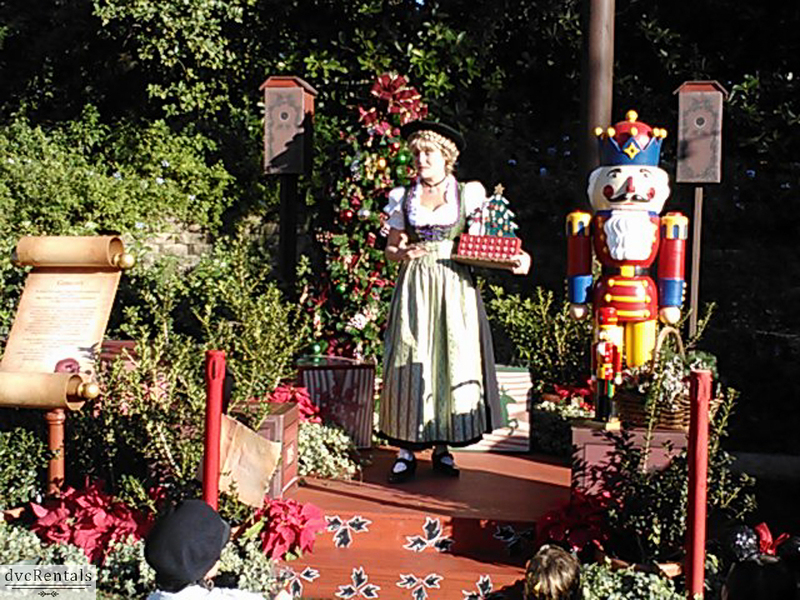 Helga teaches us how to say Merry Christmas in German and we learn that Christmas trees first began in Germany. At the end of the story a real live (and very large) nutcracker comes to life and invites guests to take pictures with him. China: The colorful and fun Chinese Lion Dance brings good luck and happiness to everyone during the Lunar New Year and Lantern Festival (this was new for 2014). Norway: Meet Sigrid who tells you about Julenissen, the mischievous Christmas Gnome—and see the Gnome himself, full of fun and silliness. 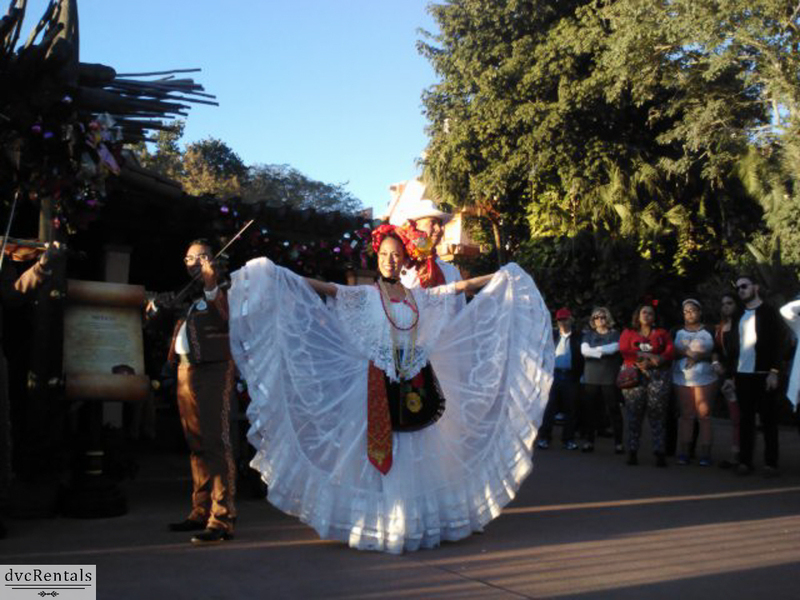 Mexico: Celebrate with colorfully dressed Mexican Dancers and be a part of the excitement of the music, dances and traditions of a real Fiesta! By the way, as a bonus, there are many food booths open around the World Showcase Lagoon with foods from the various countries they represent. So while you’re watching the Storytellers it’s easy to grab a bite of some of the “local” cuisine found at that country! I hope if you’re visiting Epcot while the Storytellers are there you’ll give some of them, if not all of them, a try. I think more than likely you’ll be very glad you did. (Each show lasts about ten minutes). They do a great job of capturing your attention and imagination. 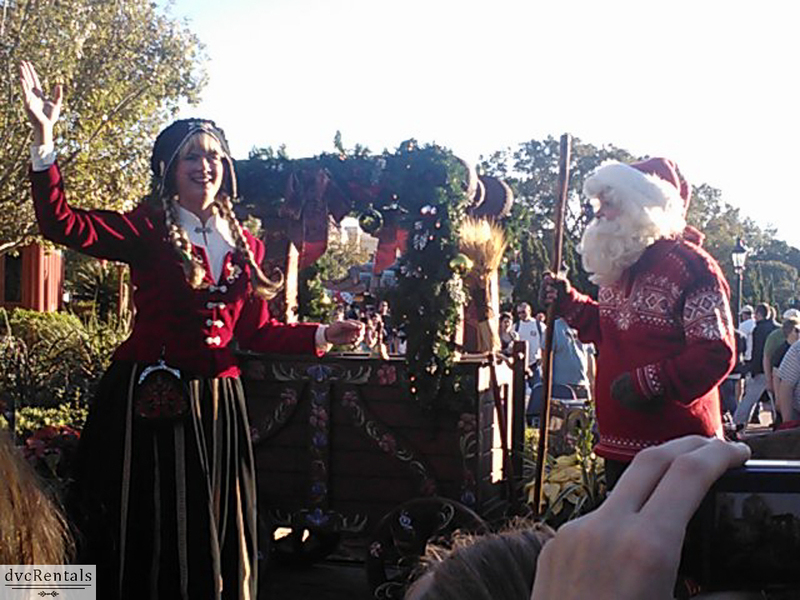 4 thoughts on "Holidays Around the World at Epcot During the Winter Holiday Season"
The Storytellers were the favourite part of our trip last time. We stopped to see all of them and while several were stories we knew, they were VERY entertaining and a nice break from rushing around the park. Definitely brought the holidays to our experience.